Since his appointment as the Manchester United boss, Jose Mourinho has studded Old Trafford with some big names, whilst spending a sum around £300 million. Top-tier players such as Paul Pogba, Nemanja Matic, Romelu Lukaku, and Victor Lindelof were unlogged from Juventus, Chelsea, Everton, and Benfica respectively during the Portuguese’s reign. However, it seems as if Mourinho does not wish to just stop there, and wants to sign Real Madrid superstar Casemiro at any costs. The Brazilian had quite an admirer in the former Porto boss during his spell at the Santiago Bernabeu. 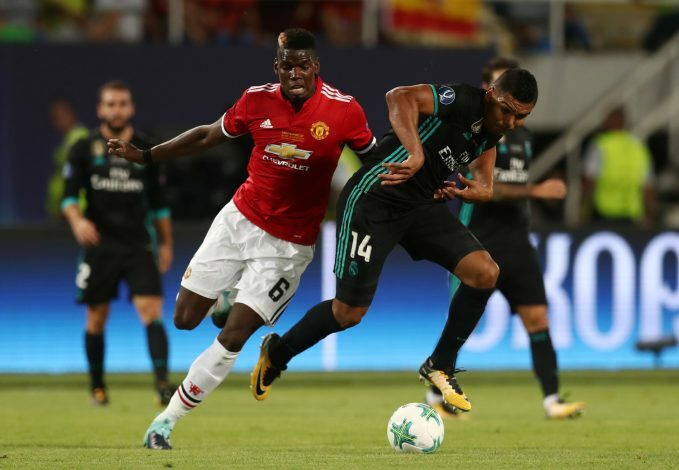 Further, it is likely that the United manager has been impressed even more by the talented midfielder following his exploits in the domestic and European success of the Galacticos. Consequently, the ex-Chelsea boss is prepared to offer wages similar to the likes of Pogba in order to lure the Brazilian international away, according to Spanish outlet Don Balon. The Frenchman is reportedly registering a deposit of £290,000-a-week, and could be soon matched by the defensive midfielder should he make the switch to England. Unfortunately, reports further claim that PSG are also keen on securing Casemiro’s services through his fellow Brazilian teammate Neymar, which could prove to be a rigid hurdle. Nevertheless, Don Balon also reported that the midfielder is completely satisfied with life at the Spanish capital, and does not wish to make a switch any time soon. Moreover, boss Zinedine Zidane also considers the 25-year-old to be an instrumental figure in his squad, and does not want to risk his departure at any cost.